This topic is only the english translation of: Arduino Nano wird nicht erkannt, was tun? Sometimes it can happen that your Arduino Nano is not recognized by your OS. Especially when you got some el cheepo China clone you may ask your self if it is only a Software issue or if this board was dead on arrival. Luck for me, in my case the boards where perfectly okay. Only the correct driver for the USB – Serial converter IC was missing. A thing you don’t need for the Arduino Uno, because that Arduino Board uses an Atmega 16U2 for that purpose. To choose the right driver you have to identify the converter IC on your board. 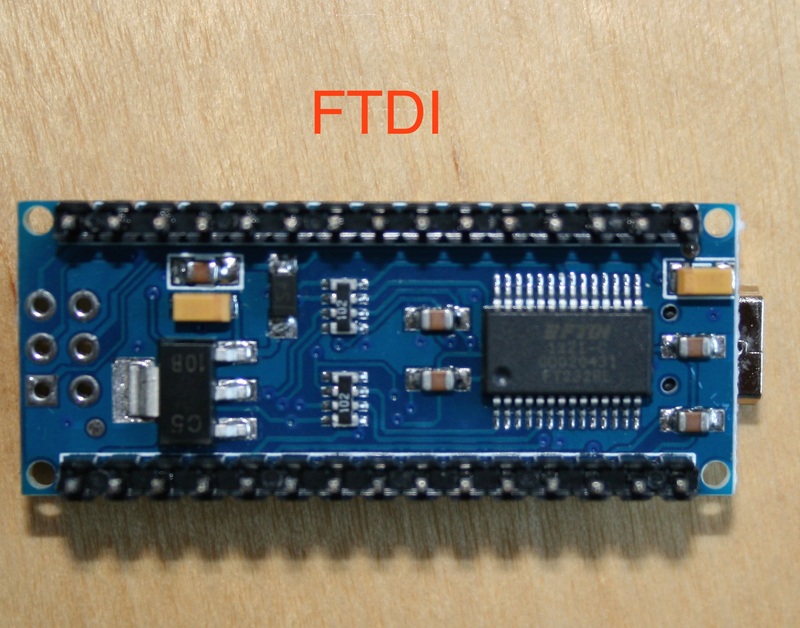 In the past it was normally a FTDI Chips (or a cheap clone). But nowadays you find more and more nano clones with IC’s build by Winchiphead. Normally the IC’s are clearly labeled, on the other hand you can also identify them by the different package. Install them and you are ready to go. A special case is Mac OS X 10.10 aka Yosemite in conjunction with the Winchiphead IC. The manufacturer driver for this chips is not signed which leads to problems with the Kext signing which is activated by default in OS X 10.10. A workaround for this problem is to disable the kext signing check via the nvram of you Mac by using the kext dev mode. I would not recommand because that lead to a weak point in the OS X Security concept. 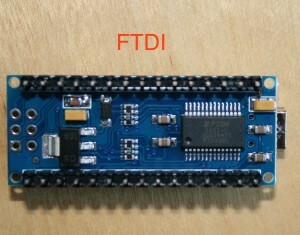 If you want to use a Mac together with an Arduino Nano you should try to get one with an FTDI IC. Winchiphead had send me an signed driver. See below. On the other hand you could use a driver signed by Codebender.cc. You can find it in the Codebender Github Repo (ch34xInstaller.pkg). Because it is signed it works without any problems. Only showstopper is that it sends some infos to Codebender when the installation is completed. If you dont have a problem with that this could be an alternative. Hopefully this helps some people having more fun with their Arduino’s. 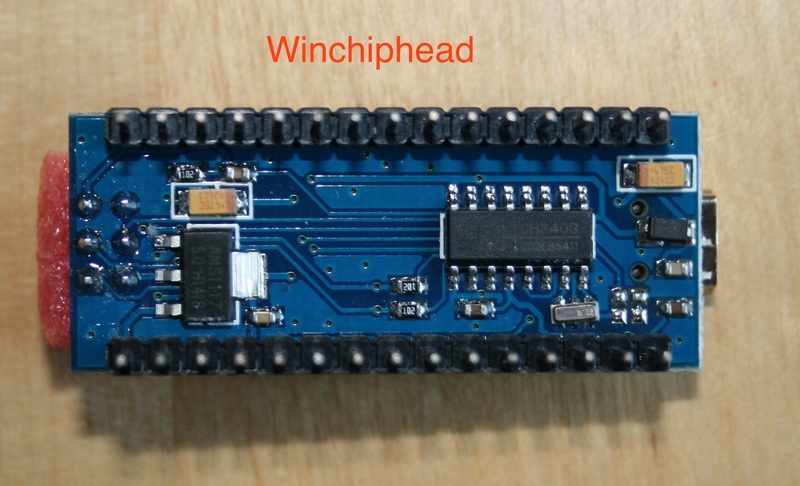 After three weeks i got an answer by Winchiphead. I asked them if it would possible to supply a correctly signed driver for OS X Yosemite. Seems that there Mac OS Driver developer had left the company, and normally their customers dont request drivers for Mac OS. But they want to sign the driver now so it can be used in OS X 10.10. I keep the post updated. I just received a signed driver by Winchiphead which makes it possible to use the CH340 under Mac OS Yosemite etc without any hacks or using the Codebender driver.